According to Rigzone, 71% of respondents in a survey of 963 UK oil workers are considering moving overseas to find work due to a lack of job security in the North Sea and Scotland. 52% of those surveyed by Rigzone also reported a lack of confidence in career prospects over the next five years. The offshore oil and gas industry in the North Sea supports approximately 65,000 jobs for UK residents, however the industry has suffered massively over the past six months due to falling oil prices which fell to less than £50 a barrel. This has led to companies suspending projects and laying off workers. Mark Guest, Rigzone’s international managing director, commented: “Oil and gas professionals are highly mobile. If assurances cannot be given by the industry about the mid to long-term career opportunities in the UK’s offshore market, our survey indicates that many professionals may simply look for work elsewhere. It is estimated that the number of jobs supported by the UK oil and gas industry will slump from approximately 375,000 currently to 340,000 by 2019. 44% of those surveyed claim they have no confidence in the effectiveness of tax cuts announced in the Budget last month by George Osborne as a means of stimulating investment opportunities in the North Sea. The UK Government has pledged £1.3m in support of the industry, including slashing supplementary charges on oil companies’ profits by a third to just 20% and reducing petroleum revenue tax from 50% to 35% next year. 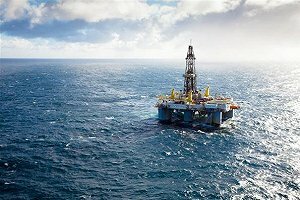 A £20 million fund has also been announced for new surveys of the UK Continental shelf (UKCS) in an attempt to boost exploration. With these government initiatives in mind, only 17% believe they will be enough to stimulate meaningful investment, with a further 38% still undecided. 67% of Scotland-based respondents said a return to stable oil prices was more important than government policy to boost UK offshore reserves. Regional organiser for the RMT union, Jake Molloy, said: “The budget has done nothing, not one single job has been saved as a consequence of the tax changes. IT was just a giveaway to shareholders. “You are getting this trickle of workers losing their jobs, 50 here, 40 there, happening across the board every single day. It’s not so much an exodus of workers than a displacement by the industry which will cost them dear. It’s quite obvious, if there is no work here people will go elsewhere.